I know I shouldn’t have tried to pogo through Times Square. Or put the Tootsie Roll in the Easy Bake Oven. Or tried to build a tent in gale force winds in the middle of the Mexico desert. I do ridiculous things sometimes because I’m curious if they can be done. Somebody should stop me. But nobody did. Not when I was walking to the grocery. Not at the back of aisle 3. Not the guy hacking up sirloin at the meat counter. So, unhindered by human or meat cleaver, I dive in to Pepperidge Farm Cheeseburger Goldfish Crackers, one-by-one. Starting simple, the cheddar is familiar and orange as the hunk of cheese from whence it came. It’s wonderful in that nutty, salty, and savory way. It’s perhaps a bit too safe, but it’s also nice to be reminded that there’s a reason these have been bobbing about since 1962. I’m surprised and disappointed to find the ketchup tastes much similar to the cheddar cracker, but with a very, very, very, very minuscule hint of canned tomato paste. Some may say the tomato isn’t there at all, but, if you close your eyes and use your imagination, you can taste a tomato-y afterthought at the end. Those looking for the sweet tang of ketchup shall be sad in this tomato effort, but the sprinklies of salt coating each fish help things along. It’s not a bad fishy, but not noticeably different enough from the cheddar to declare its taste as unique. Now, on to the most curious beast: the burger cracker. No skipping around the tulips: it’s pretty good. No hints of metal, artificial smoke, or burnt-charcoal. There’s a salty, savory, roasted-portabella edge with a hint of caramelized onion bits found at the bottom of the pan. Sure, it may not be the medium-rare hunk of cow I look for, but it holds its own, and, in that capacity, it goes excellently with the cheddar. The two eaten together may encourage you to shovel up every last crumb of the bag as if you were raised by wolves. Do not be ashamed of being raised by wolves: scoop those crackers down, you wolf-human. Maybe it’s the smell of charcoal in the air, but I think I like these. I really do. They’re not spectacular, even a little too safe, but they’re also not putrid. They’re savory, nutty, cheesy and easy to chomp. It would be exciting to see Pepperidge Farm go further with the idea of the burger: give me some jalapeño, Colby, and mustard-coated Goldfish. Bacon and bleu. Give me all the pickle-flavored fishies you can muster. I shall eat them. Eat them all. If I’m going off the deep end, so be it. But maybe you will join me? Here? In the deep end? It’s nice. And way fun. And has lots of crackers. Pros: Nutty. Savory. Burger cracker not gross. Cheddar remains unchanged. Brown bits of caramelized onions. Salt sprinklies. Benefits of being raised by wolves. Pogo sticks. Cons: Ketchup tastes like cheddar. Absence of tang. Can’t order medium rare. No pickles? Trying to set up a tent in gale force winds. -1 for referencing the burger cracker as a “curious beast” and not a curious fish. One should always invoke an ironic pun when provided a rare opportunity! Otherwise a brilliant review as always, and one which now leaves me in a state of great discernment. What, I wonder, if the etiquette for putting ketchup on goldfish? Likewise, I must buy a food dehydrator and a jar of pickles. This is an incomplete burger. Did you eat all the tasty not medium rare fishy or were they just in short supply? Looks like mostly Ketchup and original cheddar in the pic. 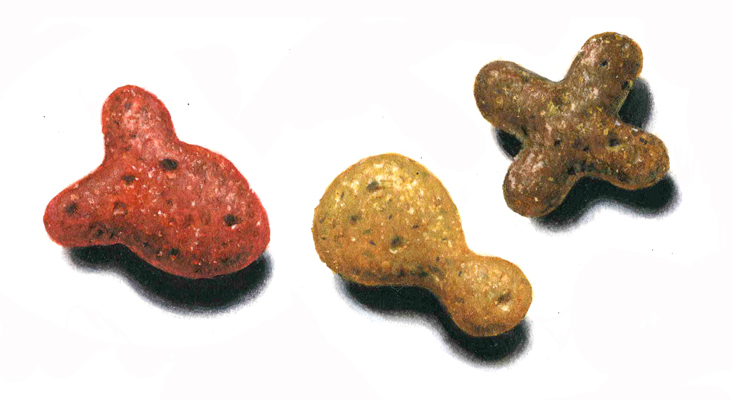 How long before we get Hotdog flavored goldfish. With Hotdog,relish,and mustard…yuck. Now there is an idea which has my gag reflex working overdrive.. “mystery meat” aka pork/chicken/turkey/beef combination flavored goldfish. They all taste exactly the same to me. When they are on sale I buy them in the hopes that maybe this time it will be different, but it is always the same. knowing there is ketchup flavored goldfish, makes me want to throw up. how bored are you to come up with burger flavored goldfish? the world never fails to amaze me lol!!!!! !